Ask me what my favorite movie is. You’ll wish you hadn’t. My answer to ‘what’s your favorite movie?’ has a preface followed by two parts. The preface: at this stage in my artistic development, I have two evaluation processes for favorite movies and therefore have at least two favorite movies at any given time. The first category is ‘the nostalgia pick.’ This is the old faithful, the constant, the first movie to ever make you say ‘wow, that’s a good movie.’ Stand By Me is and always will be answer number one. My father was flipping through cable channels in 2008 as he still does today, searching for something to kill a lazy Saturday afternoon with his daughter. Eight-year-old me was particularly struck by Dad’s rejoicing when he landed on Stand By Me. Dad let it play even when the boys in the treehouse used more than colorful language to offend each other’s mothers and manhoods. Their color was my introduction to good dialogue, natural to the characters’ world in a way that absorbs the audience in with them. A Stand By Me-shaped worm wiggled into my brain that day and she’s quite comfortable there. We’re good friends. ‘The best pick’ is a complicated ranking because it’s also a quest. Since realizing film’s unique power and beauty, I have been watching with a very different eye: do I like this? What do I like about it? Is this good? What is it saying? And most importantly, is this the best movie I’ve ever seen? The challenge of this rank is that the ranking can’t be based on quality alone; to make the ‘best,’ a film must be good, as in technically and artfully executed, and great, as in life-changing. Sure, a movie should be pretty and well-structured, all that’s good. But what’s great is being left speechless, understanding the world in a new way, empathizing with a character completely different from myself or anyone I’ve understood before. These are the films I’m searching for because these are the ways I am compelled to grow. As I evaluate new films, the answer to the ultimate question of ‘is this the best movie I’ve ever seen?’ changes. At first, of course, my answer was Stand By Me. Admitting my favorite movie was not the movie I considered the best was a challenge, but I needed to move on. Next up was Pulp Fiction (can you blame a young cinephile for such a basic choice? We all start somewhere). I looked back through the old favorites and considered O Brother, Where Art Thou? for the high honor, but decided otherwise once I discovered 2001: A Space Odyssey (are you catching on to my taste?). Some films have come close to taking the crown (Mulholland Drive, The Favourite, etc.) but none have usurped the throne in a while. Lawrence of Arabia is the last movie I would have expected to love. Throughout my film quest, I have done well to avoid the epic historical dramas, especially if they involve white men paving the way in a ‘foreign land’. However, movie-watching changed completely for me when I recruited another disciple of the screen to join my quest for the best. A dear friend of mine from college and I are both aspiring film kids. We made plenty of trial and error projects together back in the day. When I deserted him in Boston and ran off to New York in December, we needed an excuse to keep sharpening each other’s film analysis chops. A two-person film club was born, with a new movie every week and a phone meeting to match as part of the deal. For the first time in my movie selection process, I have someone else’s taste to account for. We’ve watched quite a few movies I wouldn’t have watched on my own since the merge of our minds: westerns and, yes, the epic historical dramas. Those are a favorite of his. I, an open-minded, free-spirited artist, only fought him on these with half of my mental energy. Thank the Lord he has a fighting-back spirit, because I am seeing movies that I may never have seen on my own. The epitome of this gratitude came when we watched Lawrence of Arabia. 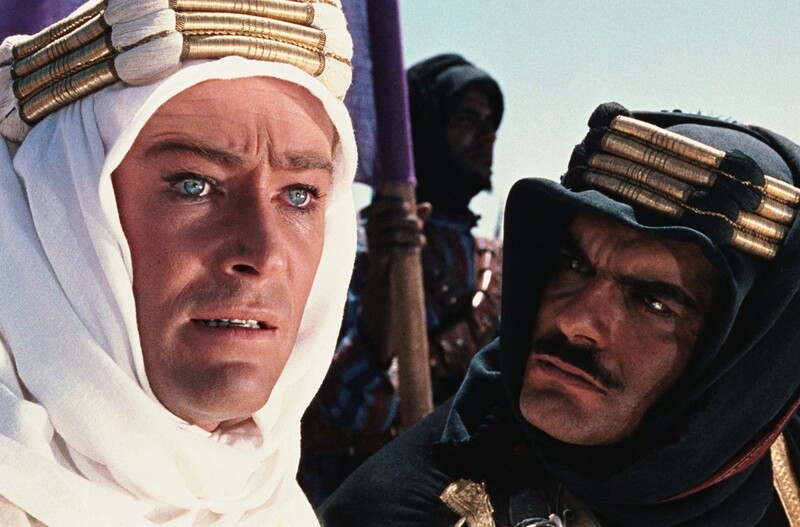 I won’t spend too long explaining my love of Lawrence of Arabia, I simply recommend seeing it yourself. That’s also not what I need to tell you. This is about how I may not have seen this magnificent film at all, may not have known the genius, if my bias hadn’t been overcome. What bias is that? I’m sad to say that deep down, it’s the boy bias. I thought it was a boy movie. Back to Dad, screening Stand By Me for his little girl. A boy film if there ever was one, no? Four boys, spitting and cursing and searching for a dead body…but also becoming emotionally vulnerable with one another. Crying, airing out their issues with fathers, and replacing boyhood with humanity. 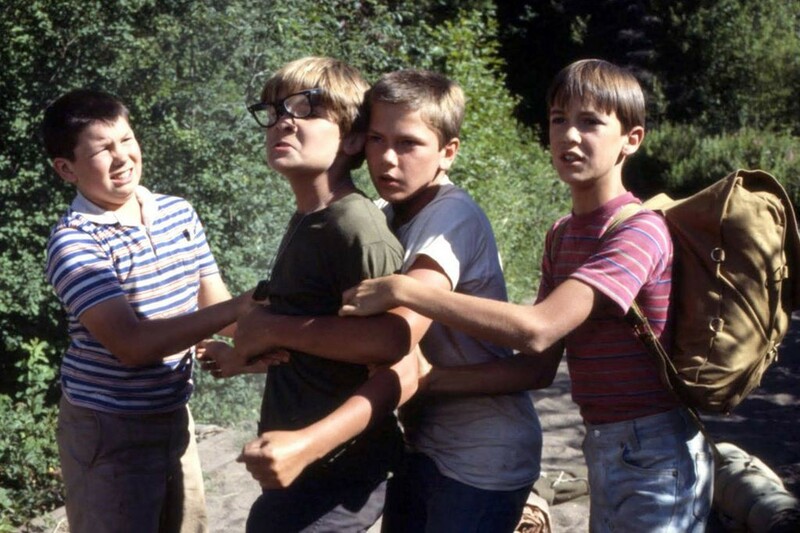 Years later, this is what I love about Stand By Me: taking the tropes of masculinity and transforming them into emotional health and maturity. To director Rob Reiner, the bildungsroman boys need to see is one where they don’t grow into the same man culture says they should. The pervasive dialogue around manhood is one I’ve avoided, yet one I’m forced to face when watching the genres that created it. Once Upon A Time in the West (again, one of my dad’s favorites) is even more sexist than I expected. Watching that classic western perpetuated my ill will toward the genre. However, in the western category, High Noon is a diamond in the rough. 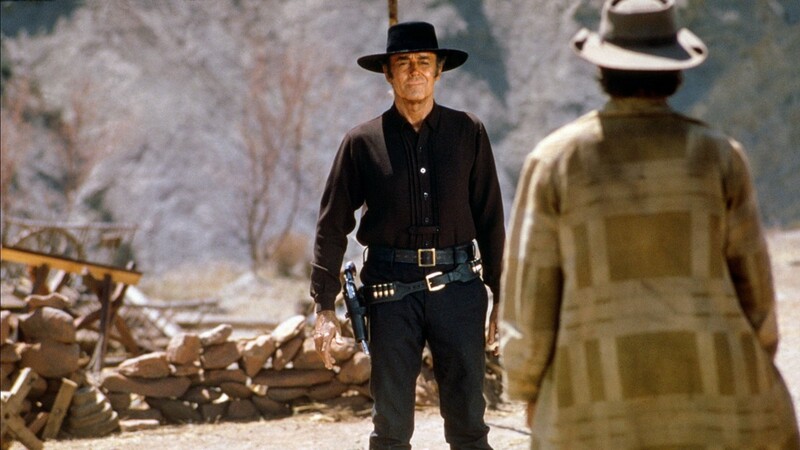 My friend and I had a fascinating conversation about this film, because while I loved High Noon, he had trouble separating the messages the genre as a whole tends to send about male duty and violence from what the film was actually saying. In general, the western commands men to take what they want and who they want by force. Few genres do a better job of sending men on power trips than the western. But High Noon wraps the aesthetic of the western around a text that says something very different. My take on the film’s theme: principles are solidified when they are put to the test, and therefore we should live lives that test our principles. Once I shared this reading with my friend, he realized that he had been so conditioned to associate anything that looks like a western with toxic themes that he didn’t listen to what the filmmakers actually communicated through the film as an isolated work. Our conversation taught both of us the immense power of genre on delivering broad messages to their audiences, but it also taught us that if we listen carefully, we can see filmmakers subvert genre conventions and use them to thwart hegemonic belief. Lawrence of Arabia did this with success I’ve never seen from a film before. Director David Lean, in 1962 no less, challenges nationalism, individuality, militarism, racism, religious factions, and even throws in a touch of queer characterization for good measure, all with the poise and grace that only film can utilize to dance with society’s devils. Yes, genres by nature maintain the status quo of media messages, but the filmmakers who break into these genres and break them apart with new ideas are the ones who break ground. I’m going to give sci-fi more of a try now. I’ve avoided the genre for a long time, but maybe once I learn what most of these guys have to say, I’ll be able to hear the radical ideas a little better.